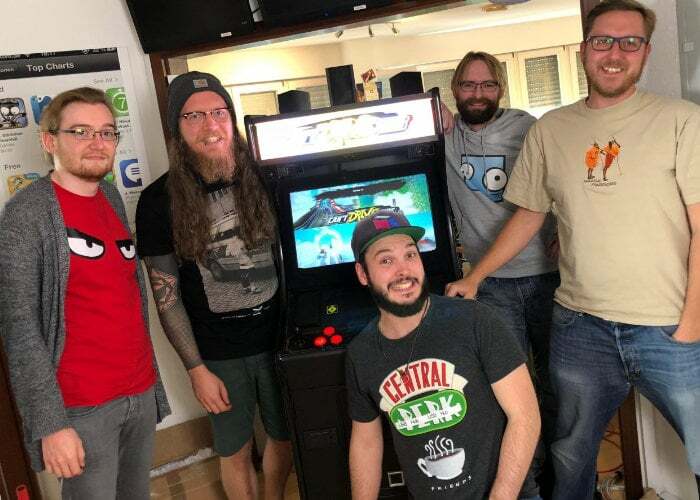 A new article has been published to the official Raspberry Pi website this week featuring the 4D arcade machine created by Pixel Maniacs this year’s Gamescom event. The games development team at Pixel Maniacs started with mobile games and has since moved into other platforms including PC, PlayStation, Xbox and Nintendo Switch. You Can’t Drive is its first foray into gaming with a Raspberry Pi. “The Nuremberg-based games developer retrofitted an arcade machine with a Raspberry Pi to showcase its intentionally silly Can’t Drive This precarious driving game at Gamescom. Complete with wrecking balls, explosions, an inconvenient number of walls, and the jeopardy of having to construct your road as you negotiate your way, at speed, across an ocean to the relative safety of the next lump of land, Can’t Drive This is a fast‑paced racing game. Jump over to the official Raspberry Pi Foundation website for more details on the 4D arcade machine powered by a Raspberry Pi’s brace and on creating your own Pi powered arcade console or machine.